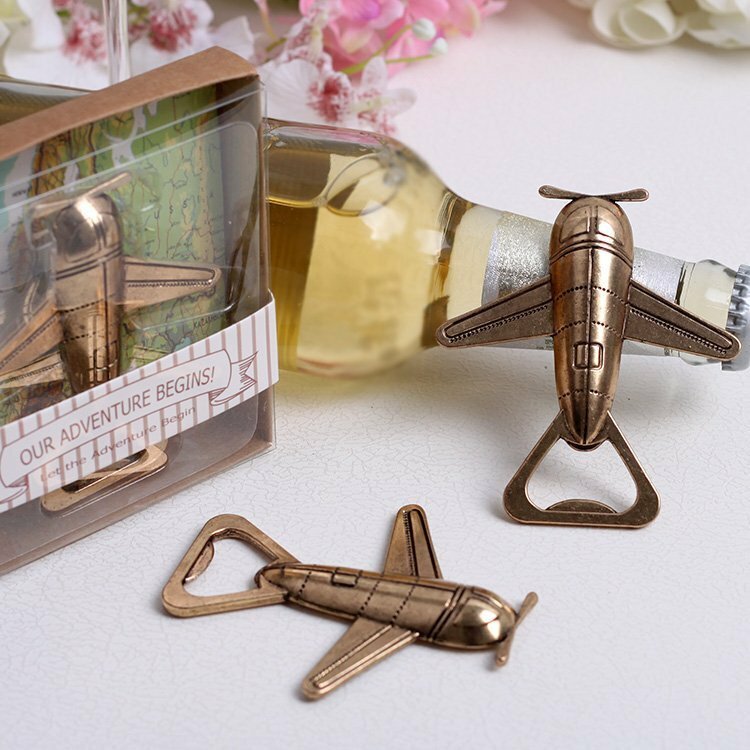 Complement any vintage or destination theme with these Vintage Airplane Bottle Openers! Unique and rustic, these favors will definitely wow your guests on your special day. Let love lead the way as your adventure begins! Dimensions: Width 8cm, Length 8.5 cm, Depth 1 cm. Gift box measures: Width 10cm, Length 11 cm, Depth 2.3 cm.